HRC is proud to join organizations across the country to observe the fifth annual Bisexual Health Awareness Month. The Bisexual Resource Center (BRC) announced that this year the campaign will “reflect on past progress and identify actions to shape the future” for the bisexual community. A study conducted by UCLA’s Williams Institute found that the bisexual population is the single largest group within the LGBTQ community, with about half identifying as bisexual. HRC’s 2017 Youth Survey conducted with the University of Connecticut is not yet published, but preliminary insights reveal that bisexual youth are more likely to avoid exercise, smoke cigarettes, and more frequently feel irritable and depressed than their lesbian and gay peers. Additionally, bisexual youth were less likely to disclose their sexual orientation to their doctors and health care providers. HRC’s 2015 report Health Disparities Among Bisexual People found that when compared to their heterosexual, lesbian and gay peers, bisexual adults reported double the rate of depression and were far more likely to engage in self-harming behaviors. HRC’s 2014 report Supporting and Caring for our Bisexual Youth found that bisexual, queer and pansexual youth were less likely than their lesbian and gay peers to report feeling happy, and more likely to experience being excluded and harassed. In partnership with BRC, BiNetUSA and the Bisexual Organizing Project, HRC Foundation’s issue brief, Health Disparities Among Bisexual People, highlighted these disparities, which include higher rates of cancer, heart disease and obesity, and higher rates of HPV and other sexual health issues, likely stemming from a lack of access to preventative care and not being out to medical providers. The Williams Institute also found that bisexual people are far less likely than their gay and lesbian counterparts to disclose their sexual orientation to their medical providers, leaving them at risk of failing to have access to a full range of medically-necessary care. 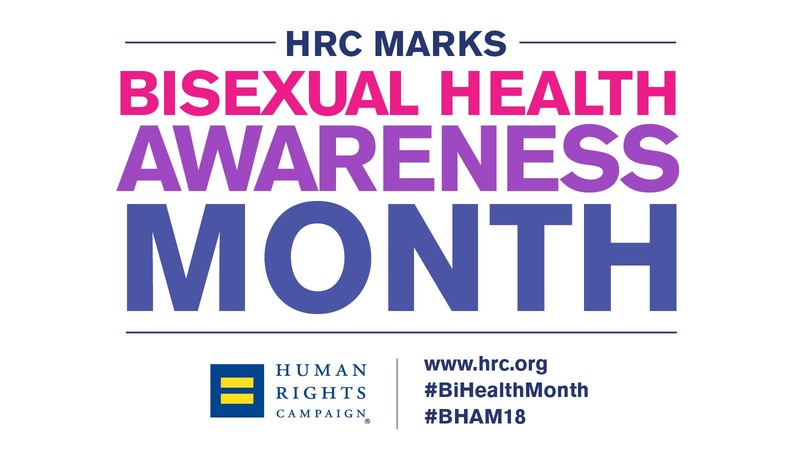 HRC is proud to mark Bisexual Health Awareness Month to raise awareness of the numerous health disparities that the bisexual community faces. For more resources and information on HRC’s work with the bisexual community, please visit hrc.org/bisexual.